What a cool little "mini-bike" - which is what we call this retro (1960's) design in Danish. 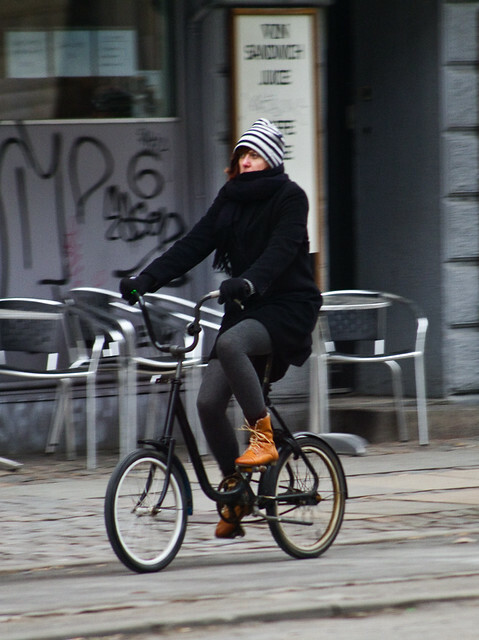 They've been all the rage here in Copenhagen for the last couple of years. I saw a lot of bikes like that in BCN. Also retro. Muy pinche cool. old bike company in NYC (Worksman in Ozone Park) makes a very similar folding frame bike with 20" wheels, chrome fenders and a rear carrier rack + 3 speeds. Great for the subway, with a low theft profile here.